All of the Coaches on staff are great “teachers” in addition to having been great players. Each one of our coaches has first hand knowledge and experience about what it takes to be successful at all levels of football and are masters of their crafts. James MacPherson: Playing Career – A local Tucsonan and standout at Mountain View High School. James received a scholarship to Wake Forest University where he led the Demon Deacons to their first back-to-back winning seasons (2001-2002) since 1988-1989. He also led Wake Forest to a 38-17 Seattle Bowl victory over the Oregon Ducks and earned Seattle Bowl MVP honors. 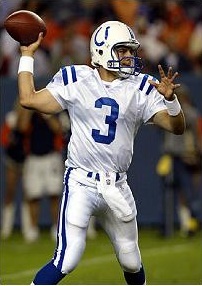 In 2003, he signed as a free agent with the Indianapolis Colts playing in 4 NFL Pre- Season games and backed up All-Pro and 4-time MVP Peyton Manning. James continued his professional career in the Arena Football League where he set several franchise and league records with the Grand Rapids Rampage and earned AFL Offensive Player of the Month for June. Coaching Career – Coach MacPherson has 9 years of coaching experience from the high school, college, and professional level. He has coached and trained accomplished high school quarterbacks to several current NFL quarterbacks. He also is experienced coaching running backs at the professional level having coached running backs under former NFL Head Coach Dennis Green with the Sacramento Mountain Lions and former NFL assistant coach Turk Schonert in the United Football League. Coach James MacPherson is also a College Scout for the Sideline View, scouting College Quarterbacks entering into the 2014 NFL DRAFT. You can follow his write-ups and recent articles on Blake Bortles, Johnny Manziel, Teddy Bridgewater and more. Siaha Burley – A standout wide receiver at University of Central Florida where he led the team in receiving for two years and was also Daunte Culpepper’s favorite target. He went on to have a successful professional career in the Arena Football League being named the AFL Offensive Player of the Year Award twice. In 2007, Saiha broke league single season records for receptions (166) and receiving yards (2,129). 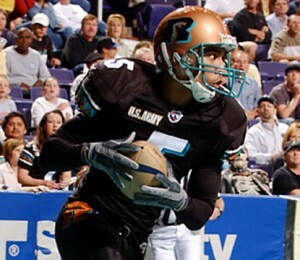 He is considered one of the all-time greatest receivers in Arena Football League history. Saiah currently is coaching the Offensive Coordinator for the Chicago Rush in the Arena Football League. Jeremy Thornburg – A standout defensive back at the University of Northern Arizona where he earned team Defensive MVP in 2003 and 2004 as well as All-Big Sky honors in 2003 and 2004. 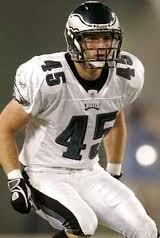 Jeremy went on to sign as a free agent with the Philadelphia Eagles in 2005. Jeremy also continued to compete at the highest level of football where later signed with the San Francisco 49ers and Green Bay Packers. Jeremy currently resides in Tucson and continues to coach and train young aspiring athletes. Other Coaches: Current college football players and former NEXT LEVEL campers also return to coach the camp. These coaches are able to assist and provide insight and advice to our current campers who may be aspring to play at the collegiate level.